Halloween is coming up soon, and one of my favorite times of year for fun crafty projects! Here’s some Halloween inspiration and project ideas to get your costume and decoration creative juices flowing! 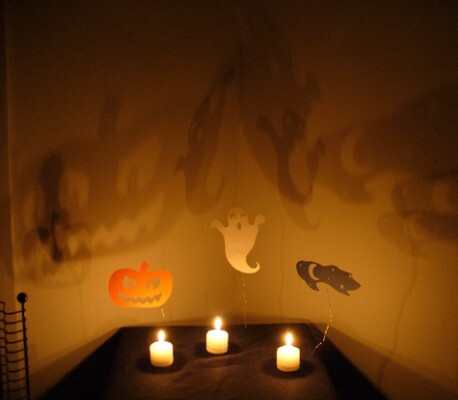 Spooky Halloween Silhouette Candles from BurdaStyle are a fun, easy project for kids. Coffin Treat Boxes from Martha Stewart are great for your Halloween party! I have a feeling Lish will be making a new Halloween Wreath…maybe this Spooky Spider Wreath from The Fearless Crafter? Threadbanger shows how to make an easy Michael Jackson costume in this video. Fake blood is easy to make with ingredients you already have in your kitchen, from Cut Out + Keep. Jeff’s Jack-O-Lanterns on Instructables are sure to inspire some new ideas for yours this year. And make sure to pick up an extra pumpkin for this yummy looking Pumpkin Bread recipe from Simply Recipes – I’ll be making some this weekend! What are some of your favorite projects and recipes for Halloween – let us know in the comments!